Welcome to a new year at the Freedom Fortress and it should be a big one for all you Freedom Force fans. The long-anticipated sequel to everyone's favorite superhero game is right around the corner (various recent magazine skinmesh/s say it should be out around March-April). In fact, www.freedomfans.com/store is taking pre-orders for the game right now. I've ordered mine, go get yours now! Today, we have a bit of a blast from the past. 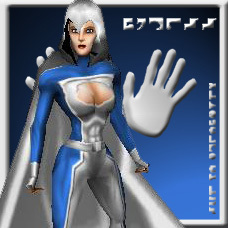 I am posting 33 original skins by the first artist at this site, Firestorm. Most of them are of FF community members and were done a couple of years back, but have never been collected all in one place. Check 'em all out on Firestorm's page under Skins & Meshes! KennX is back with a set of 12 original meshes and skins, based on his RC Universe. Read more about the RC universe at www.rcuhero.net and check out the cool stuff on KennX's page under Skins and Meshes. I've put up a heavily updated FAQ page. 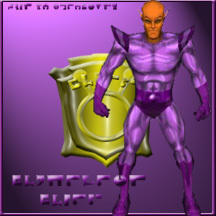 [2005-Feb-06] Grab the DCU Mod (before it kills my server again)! A furious flurry of updates at the Freedom Fortress today! First, KennX conjures up 9 new meshes and skins. and Courtnall6 chimes in with 3 new skin packs containing 16 new skins! 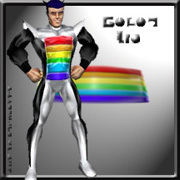 A quickie update today: Lightning Man continues his "obscure" skin collection by adding Liberator! 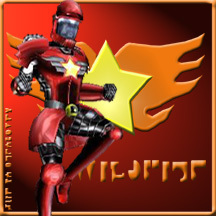 A little Valentine's Day gift for fans of the World's Mightiest FF site - a new mesher joins our ranks, the legendary Interceptor (a.k.a. "The Ladies Man"). Curl up with some soft music and enjoy his first batch of ten lovely meshes. Lightning Man turns up the "Obscurity" by adding Pyroman! 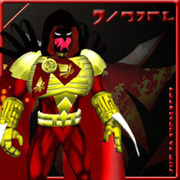 Also, Courtnall6 unleashes 6 versions of his own Avatar! Lightning Man continues his Nedor characters series with 3 versions of Miss Masque (featuring hexes by KennX). 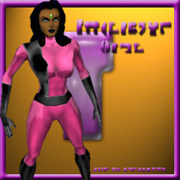 Today, ten more meshes from Interceptor ("The Ladies Man") including female_basic_amazon with a new standard skin by Lightning Man. Enjoy! J_Foam is back with 5 new meshes. Check out Brown Hornet, Headless Zombie, Hitman (cord fix), Robotman, and Thorn! 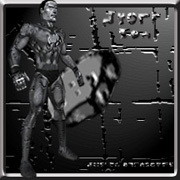 [2005-Mar-12] More Tommyboy meshes and new site logo! 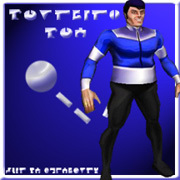 Tommyboy contributes 4 new meshes for your gaming pleasure: Bouncing Boy, Felix Faust, Persuader, and White Witch. Plus an update to his Winged Horse Knight. And special thanks to Courtnall6 for our new site logo! 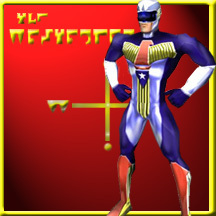 Today, we have a new "mod" for Freedom Force vs The Third Reich! 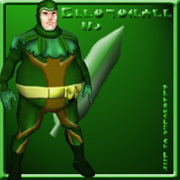 Courtnall6 has put together some new artwork and bonus skins to enhance your gaming experience. Check out The Real Reich, on our Mods page! Interceptor contributes the first FFv3R (DDS format) skins for this site. Check out his JLA: Year One collection! A very nice-looking assortment of 13 avatars by Courtnall6 today! Plus, a quick fix - I've updated Courtnall6's Real Reich mod to use DDS format skins. This will fix a problem that happens in Rumble Room (and probably MP mode) when using the updated characters like Nazi General. Basically, the old skin would still show up because the game would find the original DDS skins and use them instead of the modified TGAs. I'd recommend first uninstalling The Real Reich mod if you had used it before and then downloading and installing the new one (version 1.1) from my Goodies page. - I will be changing web hosts next week (April 30), so the site may be tough to get to for a few days around then. The URL address remains the same. - Still working on new versions of EZFX (v6) and EZHero (v3) for FFv3R. I'd say EZHero is about 80% and EZFX is about 75%. And we're back! 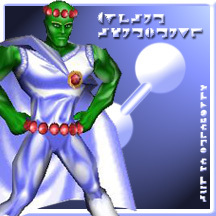 To celebrate our new internet home, I'm unleashing an update of super-heroic proportions. 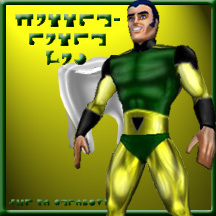 First up, fan-fave Courtnall6 drops by with 5 skins: Aquaman (alternate), Black Adam, Green Lantern (Fantasy), Martian Manhunter, and Owlman. 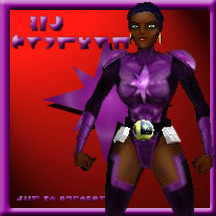 Then, hexing-deity KennX adds 13 new meshes and skins to his huge collection: Batgirl (60's and 80's versions), Catwoman (50's and 80's versions), Horned Owl Gang, Iron Hand, Scavenger, Sentinel, Wonderman, Enforcer, Lightning, Mister Alpha, and Robin as Batman. Not to be outdone, mesh-master Tommyboy chimes in with 9 new meshes: Azrael, Colossal Boy 1, Ferro Lad, Karate Kid (2 versions), Mon-El, Superboy, Timber Wolf, and Ultra Boy. 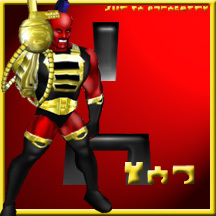 And if all that wasn't enough, I'm also releasing my brand-new add-on for Freedom Force vs The Third Reich, Superhero TV! Get it now on the Goodies page to add watch-mode to the FFv3R Rumble Room! Keep watching Da Fortress, plenty more stuff coming your way before too long! Today, the latest creations from Courtnall6 have arrived! 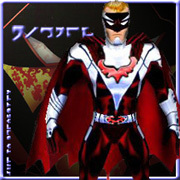 Updates to Atom Smasher, Kid Flash, and Robin (in the Batman & Robin Classic Pack). Plus Golden Age versions of Captain Marvel and Captain Marvel Jr., and Flash Gordon! Justintyme adds seven new skins for your gaming pleasure. Enjoy! Today we have a MEGA update as only Da Fortress can deliver! First up, the pleasingly prolific Courtnall6 drops by with his 7 latest skins. Then, Greycount unleashes a bombastic barrage of 12 skins. And finally, Interceptor stupendously shares a mesh and 7 skins, all for FFv3R! A quick, but useful, update today. Lightning Man contributes EZ Nif Convert, a graphical utility to convert meshes from FF to FFv3r format. Grab it on the Goodies page. More new goodies from The Fortress today! 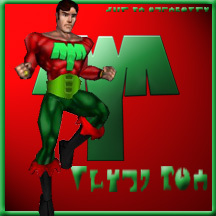 First up, Tommyboy shares the three latest creations from his mesh factory: Manhunter, Wildfire (2 Pack), and Zatanna! 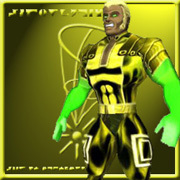 Then, Justintyme drops by with seven new skins: Alexander Luthor, Captain Nazi, Dr. 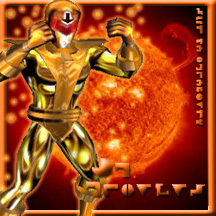 Fate (Golden Age), Fury (Golden Age) with bonus skin Tisiphone, Orion, Sand for Tommyboy's Sand mesh, and Thinker. Enjoy! 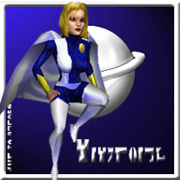 [2005-Jun-20] EZ NIF Convert v2.0 released! 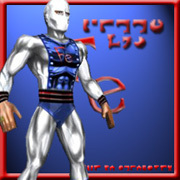 The newest version of EZ Nif Convert (v2) by Lightning Man arrives today! Get it on the Goodies page to easily adjust mesh lighting etc! Unfortunately, personal family issues have left me with very little time for Freedom Force in recent months. I do hope to get back in the swing of things eventually, but in the meantime, I am very happy to have an update for you today. Greycount is back with 12 new/updated skins, showing off his Legion-y mastery. Enjoy! 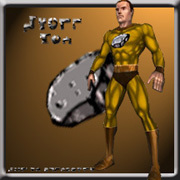 [2005-Oct-15] Grab the DCU Mod (before it kills my server again)! Still have lots to deal with in real life, but thanks to some modding buddies of mine, there's a new FF mod ! Get the long-anticipated Forum Battle Royale 2 and enjoy. (be warned, though, it's a hefty download. A bit late with this, but Courtnall6 is back with a 24 cool new and updated skins. Enjoy! At last! 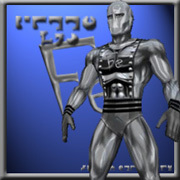 The much-delayed EZFX 6.0 for Freedom Force vs the Third Reich is finally available! Hope to add more FX in the future, but the 180 in this pack will hopefully tide you over a for a little while. It includes a bunch of new ones created specifically for FFv3R by IPS, Interceptor, and me, plus many old favorites from FF which I've ported over. Grab it on my Goodies page!